Actress Priyanka Chopra made an appearance on ‘The Tonight Show Starring Jimmy Fallon’ on Tuesday (February 5) in New York City. She wore a Teresa Helbig Spring 2019 suit. 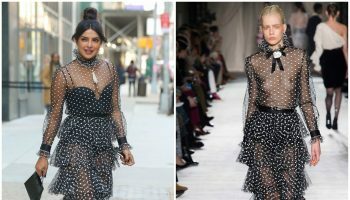 Priyanka Chopra In Philosophy di Lorenzo Serafini @ Watch What Happens Live!